In a Superior guestroom, you’ll wake up each morning to lively views of the French Quarter or our charming, tree-lined brick courtyard below. Check into understated style, with a modern palette of beige, soft yellow and dark woods. 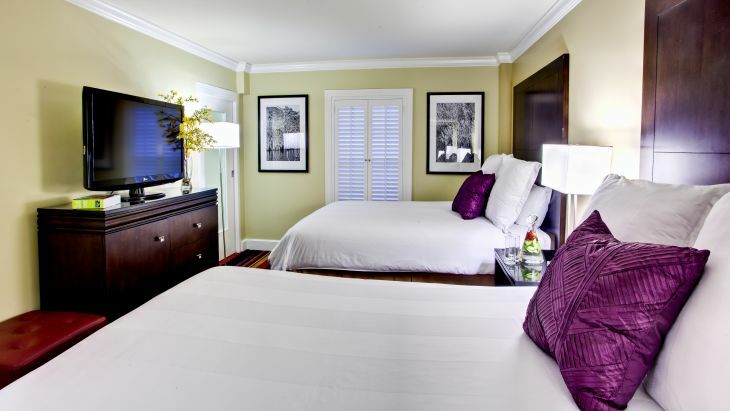 After a day of exploring Crescent City, you have the license to relax in the plush, pillow-top bed, slip into a soft waffle bathrobe and flip on your 42-inch flat panel TV. Other features include an iHome clock radio, coffee maker, work desk with ergonomic chair, granite countertops and luxe bath amenities.